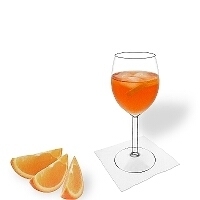 Hugo served in a white wine glass, the most common way of presenting that delicious champagne cocktail. 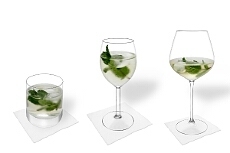 All kind of wine glasses are ideal for Hugo. 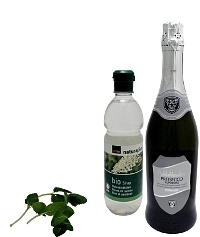 Hugo is a sweet champagne cocktail from Austria with elderflower syrup and peppermint. 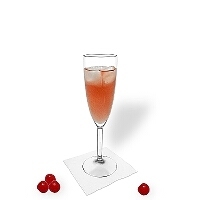 Hugo is a tasty champagne cocktail form Austria. 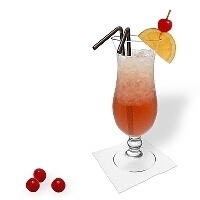 It consists of sparkling wine, elderflower syrup and peppermint. 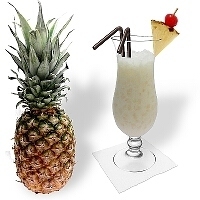 It's a palatable and faintly sweet drink that goes down well with women, but also men like it if you don't prepare it too sweet. 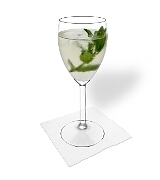 In a wine glass garnished with a peppermint twig does Hugo look very appealing. 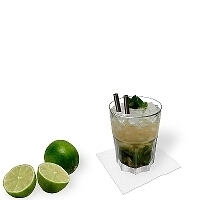 A good choice for a welcome drink, for aperos or simply nice get-togethers. 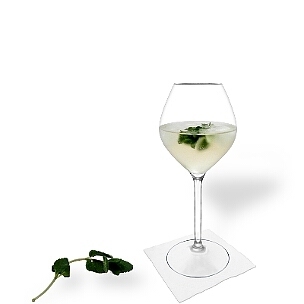 Place elderflower syrup in a glass with 3 ice cubes and pour sparkling wine over it. 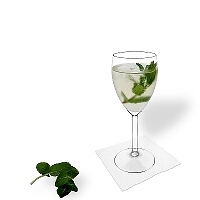 Add some peppermint leaves (or a peppermint twig) and serve it ice cold. Use a prechilled and low or mid priced sparkling wine. Dose the elderflower syrup very carefully. 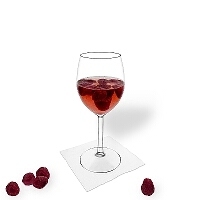 Serve Hugo in wine glasses. Wine glasses are most appropiate for Hugo. If you don't have them available, champagne glasses are a good alternative. 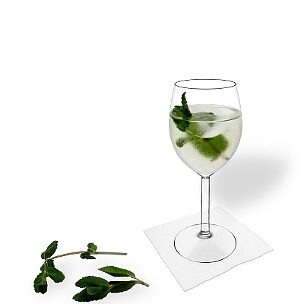 Some peppermint belongs into the drink. Further decorations made of lime or lemon are quite popular, but it's not a requirement. 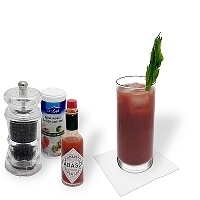 What's the best serving suggestion for Hugo?